We’ll personalize with the possessive name of the recipient at no extra charge! 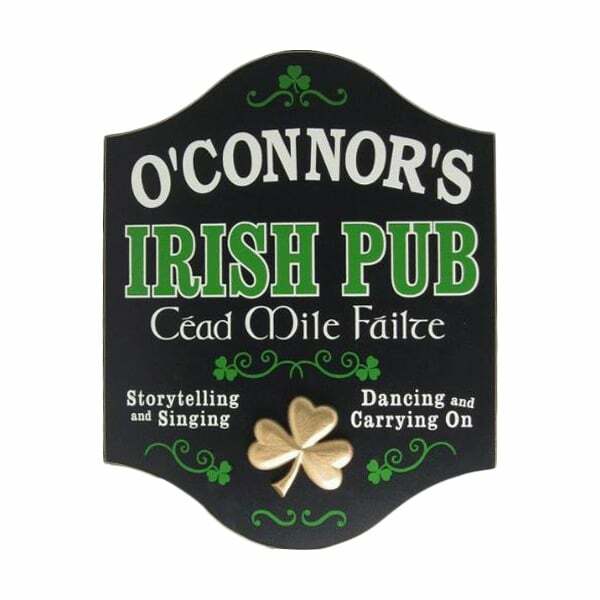 Sporting a 3-D clover and offering 100 Thousand Welcomes, our Personalized CEAD MILE FAILTE Wooden Irish Pub Sign will make the perfect addition to your home pub. 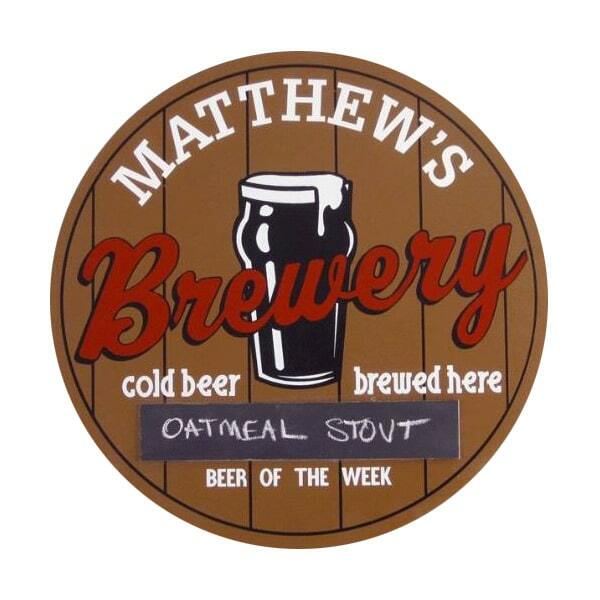 The wooden sign is handmade in the USA and also declares that your pub is the place to be for storytelling, singing, dancing and carrying on. Also don’t forget to add a custom name to the top of the sign for no extra charge. Measures 18" x 14" x .5"
Features a 3D resin shamrock attached to front.